The TV ad is also posted on Barclay’s official Visa Black Card Site. 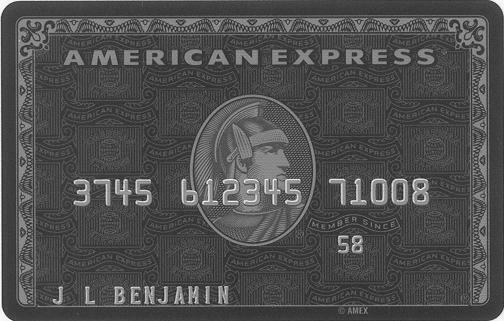 In our initial comparison of the Visa Black Card and American Express Centurion Card we noted material types; Outside of card types the things that stand out are, how hard is this card to get (e.g. is it truly exclusive?) , and what real benefits does it offer? The the main things that stands out is the concierge service, but we have yet to see what this can deliver. Visa lists the following, but as with any concierge it’s defendant on the actual service, both American Express tout. American Express Centurion Concierge has been in business since 1999, over 9 years. You can go to the American Express Concierge Travel Insights Site for more detail on the black card, such as where Centurion Cardholders like to eat when they are in New York. Or you can go to Visa’s Black Card Site with the details below. Here’s what Visa cites as examples of Concierge abilities. Assistance with location and purchase of specialty items. JACKSON, Wyo. — ThinkTank Holdings LLC today announced that they will be entering the high-end credit card business with their new patent pending credit card that includes carbon and/or carbon based material. The code name for the company is “Next Card” and should be available to the public soon. The name of the company will not be announced until its release date. ThinkTank filed its provisional patent application during 2007 based on previously performed research. The original design was invented by ThinkTank’s founder, Scott Blum. This high-tech credit card will be available to individuals and corporations for an estimated annual fee of $495. It is expected to come with a 24-hour concierge service, a points and rewards incentive package as well as many other benefits. Founded in October 1999 by Scott Blum, ThinkTank provides technology infrastructure, financing and management expertise to its companies. At ThinkTank, ideas are created around solutions that change or improve the way business is conducted. ThinkTank is focused on technology, commerce, and media related industries and currently has the following companies in its portfolio: Buy.com, Yub.com, Sell.com, TechSpace, Thinkbig Media, and YogaToday. Revelocity was sold to NeoForma (NASDAQ: NEOF) in December 2002, ChannelWave was sold to ClickCommerce (NASDAQ: CKCM) in January 2005, and Commerce5 was acquired by Digital River (NASDAQ: DRIV) in December 2005. ThinkTank is a holding company that has significant investment or control in each of its companies. The partners provide expertise in the form of capital raising, mergers and acquisitions, strategic business partnerships, legal support, business development, marketing expertise and financial management and analytics. ThinkTank Holdings LLC is located in Jackson, Wyoming. Barclay’s launches their Visa Black Card competing directly with the American Express Centurion card. 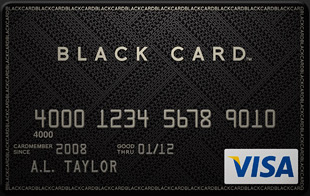 The Visa Black Card which is made out of carbon graphite, and includes similar benefits to the Centurion Card such as Priority Pass. Currently “Limited to 1% of US Residents” but criteria is currently yet to be clarified (when I called 12/2). *The Exclusivity/Limited to 1% of US Residents according to Barclay’s rests heavily on a Credit Score amongst other “personal financial information”. For additional details, articles, reviews, hands on photos and more, go to our main Visa Black Card page.